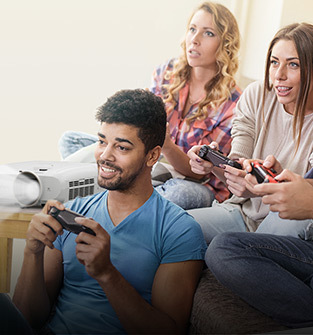 Feel immersed in your favourite movies and games with this Full HD 1080p projector, that’s capable of creating an impressive 300 inch display. Bringing the screen to life, 3LCD technology achieves a display that is up to three times brighter than competitor products2. Its 15,000:1 contrast ratio also produces clearly defined shadows and deep blacks. Sit back, relax and revel in the beauty of our projected displays. Our projectors incorporate a range of high-tech features that work seamlessly in the background to provide you with awe-inspiring images. 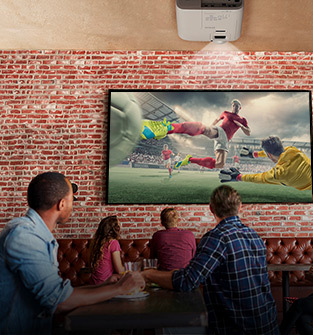 Make your home centre stage for all the action with Epson’s projectors. 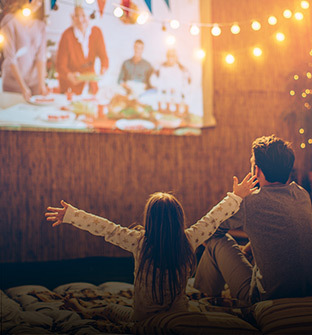 Transform the everyday, whether you’re catching your favourite sports, watching a classic movie, streaming a breaking box set, or playing the latest game; make it a truly unforgettable experience with a larger- than-life projected image. You can capture everyone’s attention and bring family and friends together to experience those memorable moments. We don't think a home projector should be any more complicated to use than a TV. 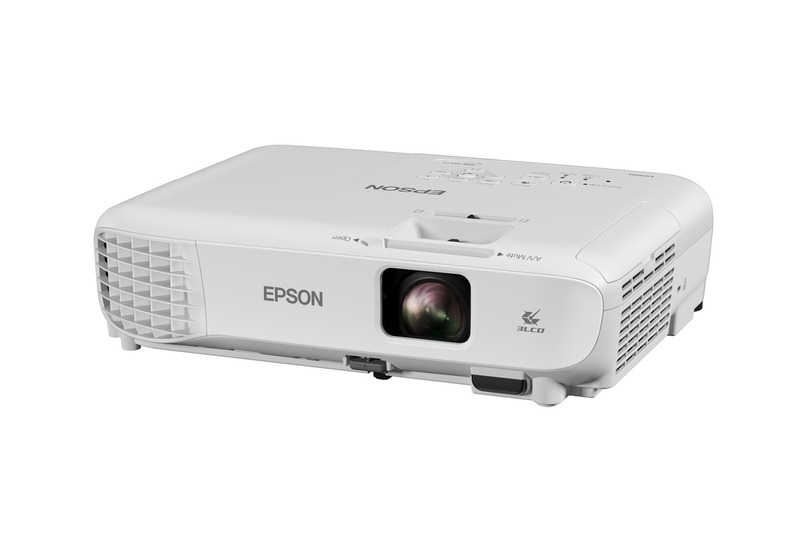 That's why this projector is hassle-free and quick to set up with features such as keystone correction to help quickly position the image. With the iProjection app and built-in Wi-Fi it's easy to project directly from a smart device. 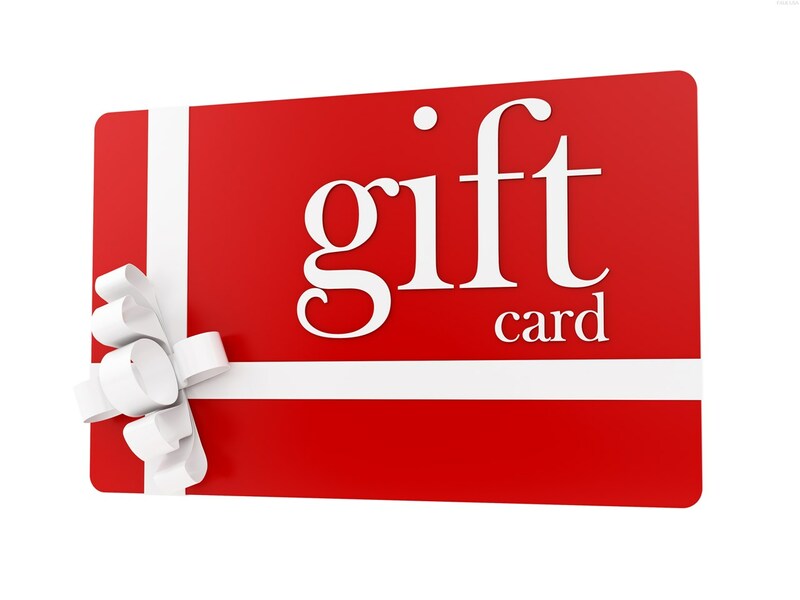 Looking for a long-term, hassle-free and affordable solution for watching your favourite movies? With this model's long-lasting lamp light source, you'll be able to watch a film every day for up to 11 years1. 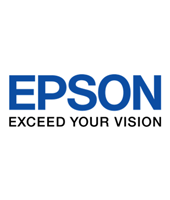 Epson’s 3LCD technology delivers a clear image that won’t have the 'rainbow effect' that can affect some 1-chip DLP projectors. 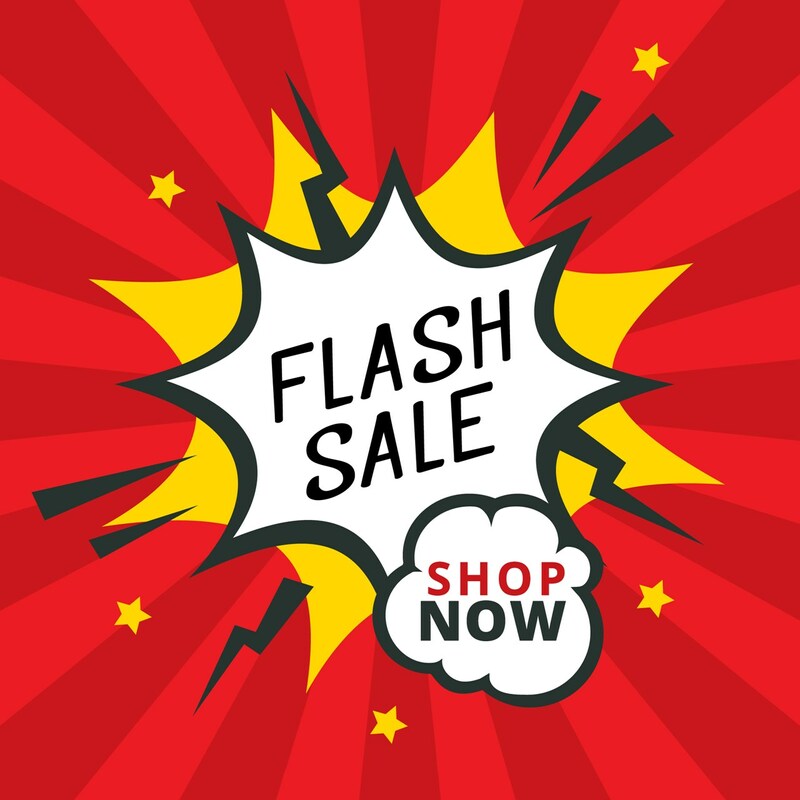 Even in bright rooms, this powerful yet affordable Full HD 1080p projector delivers exceptionally bright yet colourful images with clear details. 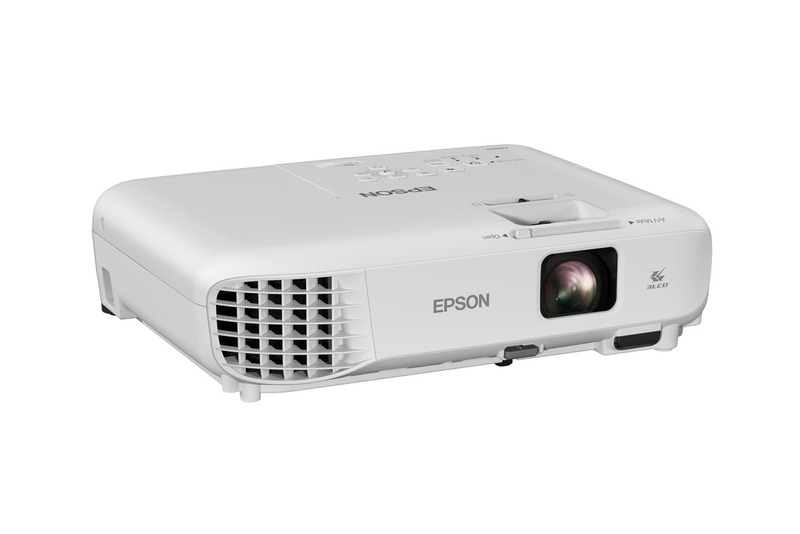 It's all thanks to 3LCD technology, which produces an equally high White and Colour Light Output of 3,100 lumens.